Let's see what the basis or reference for selecting the RAM and HDD gaming laptop. In today's era of the all using the latest technology. 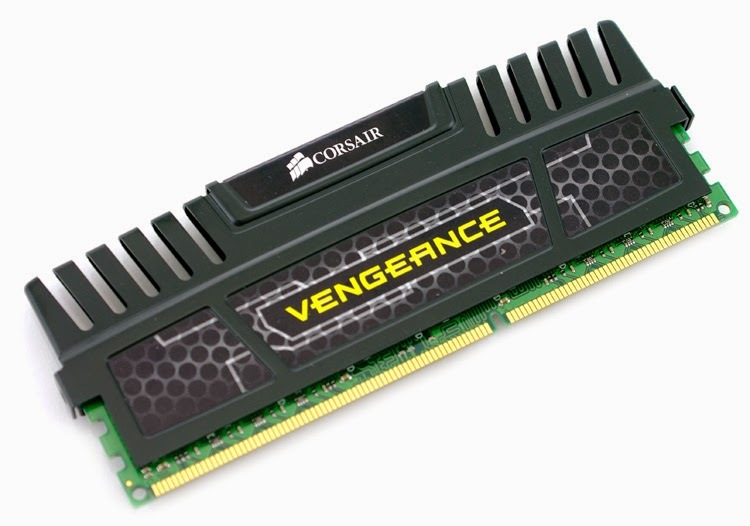 People have many migrated from version DDR1 RAM DDR 2 to DDR3 RAM and the latest reportedly will appear with DRR4. With the rapid development of this, if we follow the changing times in this technological era then there will be no end and will not be satisfied with everything that is given. because human nature itself "never satisfied and always feel less" so the solution is just grateful for what is there. Well back to the topic of computer, below we're gonna talk about RAM and HDD and their relation in Gaming. RAM is very important in the PC gaming world. if a user wants to play games with great quality, specification of the PC or laptop must be adequate. example: if the user wants to play the game pes 2015 or fifa15, the user must choose a VGA that eligible to run the request of graphic, for example, 1gb or 2gb nvidia VGA, the game can not run smoothly just like we want it, the user also must have enough RAM, for example 2gb to 8gb, so the game will have enough processing like the way we wanted. Many disk has a user interface that is designed for connection to standard SCSI bus. Disk is likely to be more expensive, but has a better performance, which is possible due to excess SCSI bus than the PCI bus. Simultaneous access can be made to multiple disk drives because the interface drives are actively connected to the SCSI bus only when the drive is ready for data transfer. This is particularly useful in applications where there are a large number of requests for small files, which often occurs in the computer that is used as a file server. Promising outstanding performance and provide a great and reliable HDD storage system. This disk is used both in high-performance computer or in systems with require reliability for higher than normal levels. However, with the decline in prices to lower level, that disk wil becomes more attractive even for a standart computer system. Hard disk with SATA type (Serial Advanced Technology Attachment), which interfaces disk ATA (Advanced Technology Attachment) with the serial version using thin wires which have a total small cable about two thirds of the total cable with type EIDE hard drive or ATA disks that are 39 pins and SATA has a very high speed data transmission and reduce latency. So that the serial bus is capable of exceeding the speed parallel bus. SATA to transfer data sequentially or through a serial cable and SATA technique also arrange their own disks that are connected to the motherboard without the presence of the master or the slave system, so that the SATA cable can only be used on one hard disk. The type of hard disk that has been discussed, all fall into the category of internal hard drive, meaning that installed in the CPU. There is also external hard drive (HDD which are outside the CPU), so it can be moved - to move. External hard disk has a rotational speed of about 7200 rpm, Easy to install, you dont need to disassemble the PC and only by connecting the USB port to a PC, and able to transfer data at 480 Mbps speed. As we know that the hard drive which we use as a storage medium still has a mechanical part in it, while the media SSD (Solid State Disk) has been using technology such as a USB drive or computer memory. If you notice the media like a USB drive has no moving parts. Intel Co work with Taiwanese manufacturer is Intel SSD Kingston to market so that the presence of these two names make growing the SSD in world hardware market. The famous name the world of SSD iare Samsung, Toshiba SanDisk, Imation and Seagate will even penetrated well into the SSD market. Indeed, the future will be more storage media leads to an SSD because it has many advantages over the current storage media like hard drive. The usefulness of this HDD is very important in the game, Moreover, we use the SSD will feel so fast performance for games to be played, because the speed of loading using the SSD is much faster than HDD-type sata. To play the latest games now you can choose DDR3 RAM with minimal 2-4GB memory allocation. Recommendations 8GB for heavy gaming and standard 8GB of RAM to gain the comfort in playing game. So what's the benefits of SSD for gaming? yes it useful of course but not so many, because the actual process lies in a good processor CPU processor or GPU processor, these two very important role in data processing. And yes To accommodate this data requires the a fast storage when the storage process issued will also fast.